I was really energized about the opportunity to own my own business, and the fact that I could continue to work out of my home and set my own hours was a huge perk. Most of all, I was excited about the chance to be a part of something that I really think is ground breaking and unique. 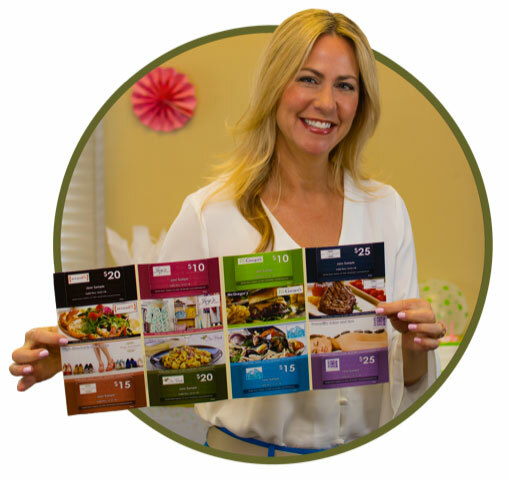 BirthdayPak connects businesses with consumers through tasteful gifting, helping businesses succeed and consumers celebrate life. BirthdayPak is a print and digital gifting program that builds real engagement with local, affluent women that are about to celebrate one of life's memorable moments...their birthday! BirthdayPak franchise owners work with a limited number of upscale businesses, such as restaurants, day spas, salons, and boutiques who want to feature their brand in a unique, personalized gift package sent directly to affluent women that live close-by to help them celebrate their birthday. Since BirthdayPak recipients live local to those businesses featured in their BirthdayPak and are about to celebrate a birthday, a proven trigger for consumer spending, it's the perfect combination! Our franchise owners see this as a valuable differentiator in their business development efforts. Through a simple online activation process, the recipient becomes part of the BirthdayPak community allowing her to connect with the businesses online. 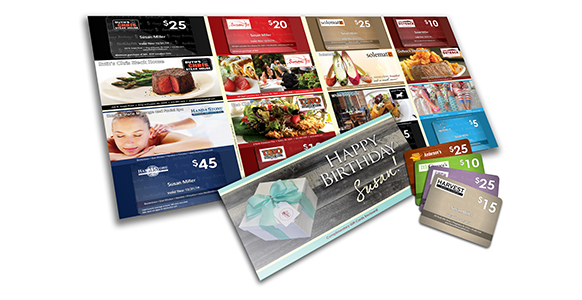 BirthdayPak delivers year-round from the mailbox to the inbox by sending emails, to not only remind community members to use their gift cards, but keeps the business in front of them all year long! BirthdayPak franchise owners have the flexibility to create a schedule that works for their family and lifestyle...essentially, they are their own boss. It is up to them to get the job done and they choose how to go about it. Owning a BirthdayPak franchise wouldn't be possible if BirthdayPak Franchising USA hadn't already done all of the heavy lifting proving out the model. 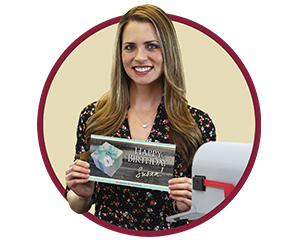 When companies like BirthdayPak offer franchise opportunities, they're offering a business model that has seen proven success. The BirthdayPak brand has already been established and processes are in place. In addition, BirthdayPak is equipped to provide their franchisees with the right tools and resources needed to succeed. When the franchisee succeeds, BirthdayPak succeeds. It really is a win-win situation! BirthdayPak franchise owners have the freedom of owning their own business, but they have a built-in support system that prevents them from being completely on their own. BirthdayPak provides ongoing support and guidance to help make sure their franchisees succeed. But at the same time, BirthdayPak franchisees are given opportunities to think outside the box and apply their own skills and problem-solving abilities while they run their business. Outside of the BirthdayPak brand guidelines, BirthdayPak franchisees control their brand and create their own success. They set their goals and exercise the creativity needed to attain those goals...they are in charge! Last but not least, as a BirthdayPak franchisee, you get to send birthday gifts to thousands of members in your immediate community each month while helping local businesses achieve their business goals...you really can't have much more fun than that! 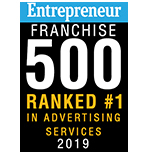 BirthdayPak is ranked #1 in category by Entrepreneur Magazine and awards franchises to the most qualified individuals based on a number of factors. Our system is proven, and we are looking for the right partners that share our values!